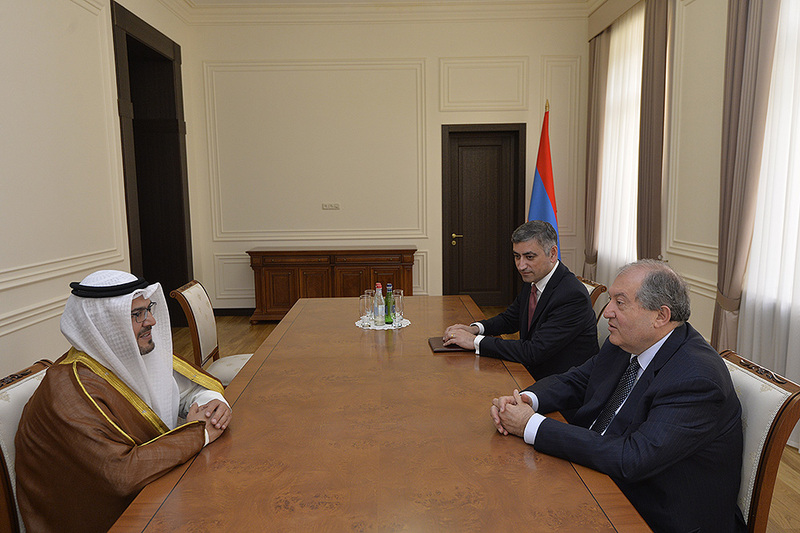 President Armen Sarkissian received today the Ambassador Extraordinary and Plenipotentiary of the State of Kuwait to Armenia Mr. Nawaf Alenezi. 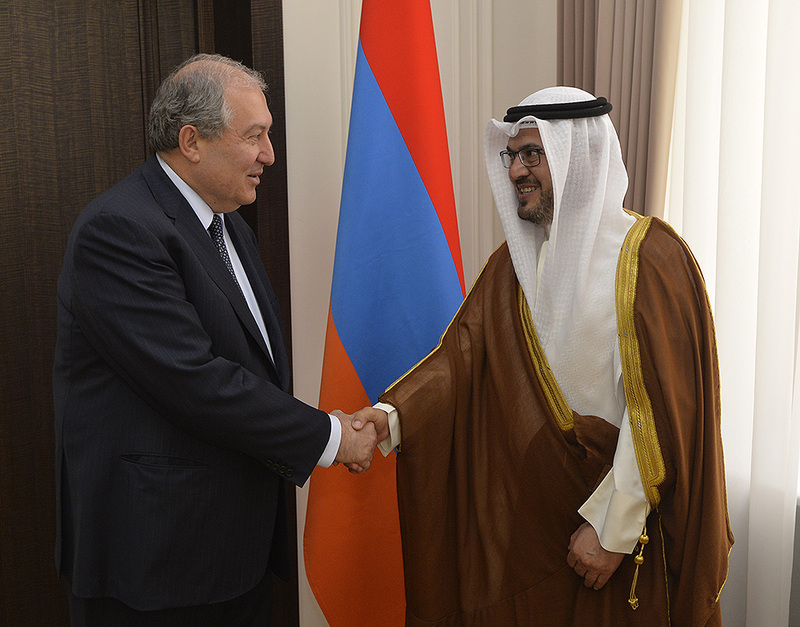 The President of Armenia stressed the importance of developing and strengthening good-neighborly and brotherly relations with Kuwait. 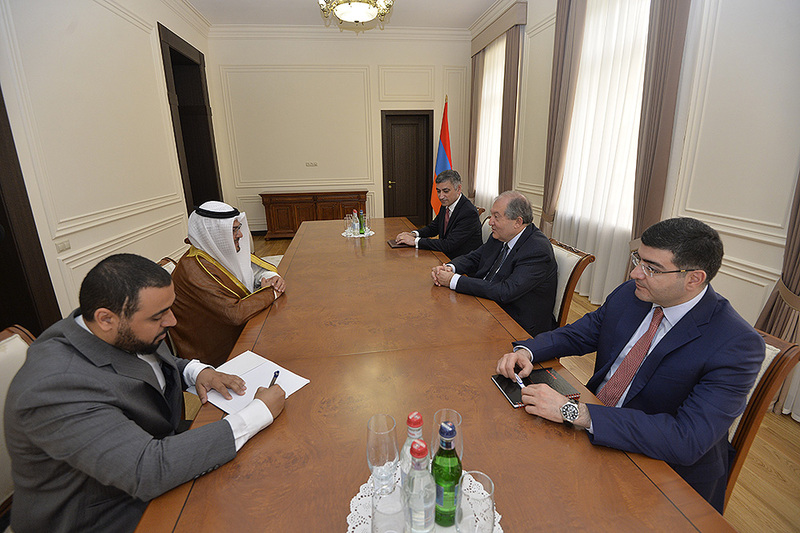 He also thanked the leadership of the State of Kuwait for its considerate attention towards the Armenian community. 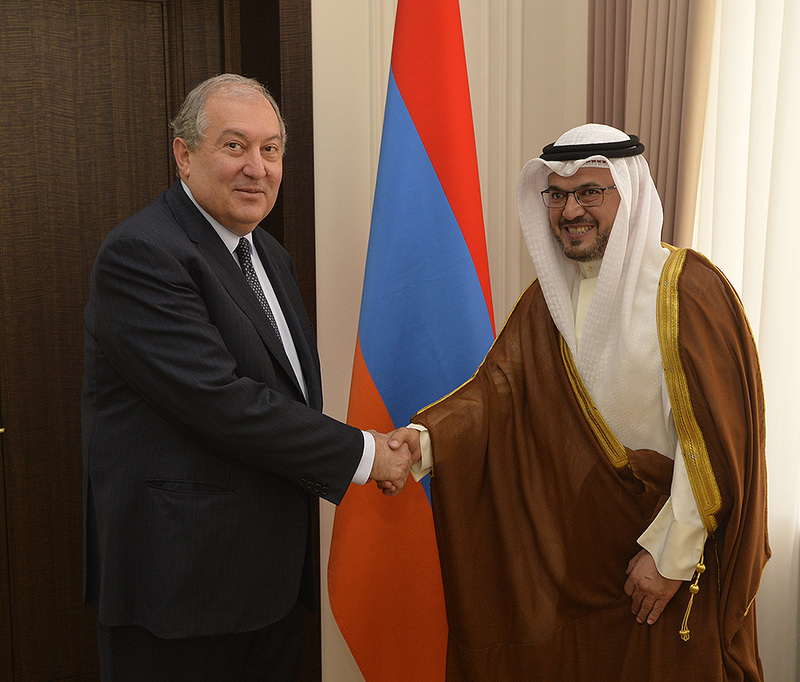 The Ambassador of Kuwait also praised the current level of the Armenian-Kuwaiti relations and conveyed warm greetings of the Emir of Kuwait Sheikh Sabah Ahmad Al-Jaber Al-Sabah and his invitation to conduct an official visit to the State of Kuwait. The parties discussed opportunities to invigorate the bilateral economic relations, particularly in the areas of banking, tourism, and high technologies. They also exchanged views on the situation in Armenia.